Former Federal lawmaker from Kogi State, Hon. 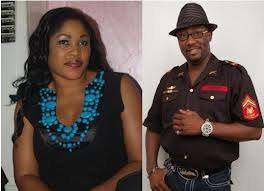 Dino Melaye who is alleged to have impregnated beautiful actress, Bisi Ibidapo-Obe popularly known as Bisi Omologbalogba has denied paternity and romance tale with her. The last may not have been heard of the pregnancy tale of star Yoruba actress, Bisi Ibidapo-Obe. Stories went around lately that Bisi’s pregnancy which she reportedly flaunted with pride at a few occasions in Lagos belongs to former House of Representatives member, Hon. Dino Melaye. 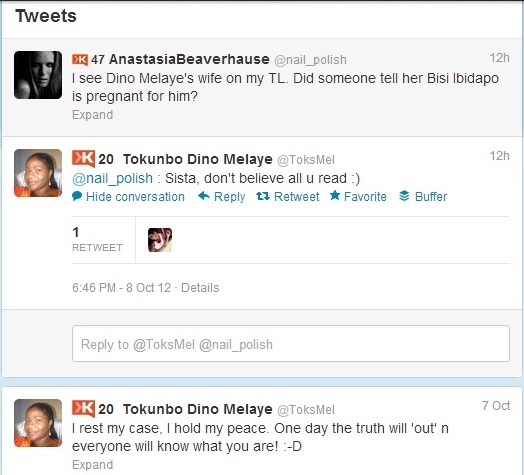 Dino Melaye debunked the tale through his social networking site, Twitter. Dino Melaye’s Tweets was “Go and swallow gallons of acid”. If the Twitter originally belonged to Melaye, then the message could only mean two things; that he didn’t care of what people say (of the pregnancy tale) or “I don’t care about the rumour”. Lola’s movie launch in Magodo. His romance with Bisi which started nearly eight months ago has divided the two lovebirds that attended private parties and rocked together. The crux of the matter is the nearly six months-old pregnancy of Bisi, which Dino is not willing to come to terms with after a brief dalliance. Prior to the breakdown in communication since June, Dino’s second home, our source hinted, was Bisi’s Magodo estate’s, Lagos home. Initially, they were communicating but since Bisi came back from her Canada’s trip, Dino has been elusive. 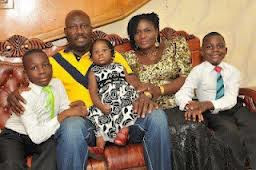 “She got to know she was pregnant on arrival in Canada and when she put a call through to Dino, he was not particularly excited about it but he assured her to allay any fears, but he has ran away since June, shunning all entreaties and calls made to him,” said the source.